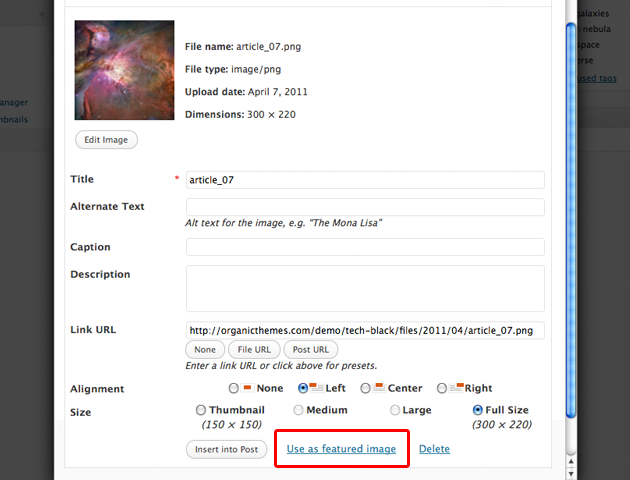 After uploading your image, select the option to “Use as featured image”. All of Organic Themes use the WordPress Featured Image functionality to display thumbnails within our themes. We have provided instructions for adding Featured Images. Note: Featured Images are automatically cropped to fit their locations in the theme. Images are cropped towards the middle. As a result, this may give an undesirable effect if the focus on the image is not in the center. For ideal results, it’s recommended that images are cropped to size before hand. The sizes of Featured Images are defined in the functions.php file of the theme. Organic Themes allows for the changing of the background color and image within all of our themes. Choose to upload a background image or select a color of your choosing. Navigate to the Appearance > Background section within the WordPress administration. 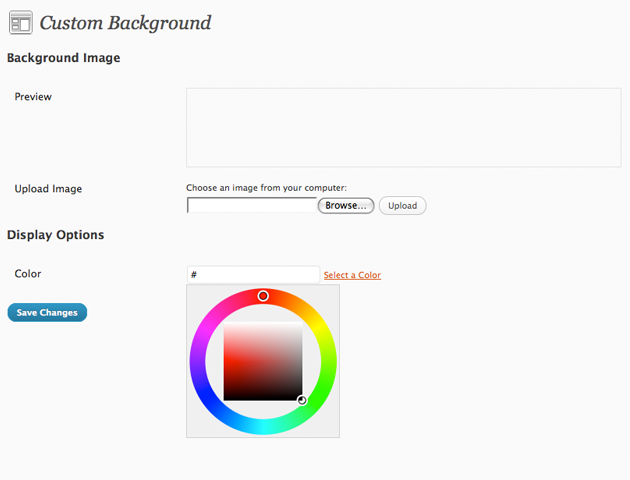 You can then choose to upload a background image of your choosing, or change the background color. Save the settings when you have completed your changes. There is the option to restore the background to its default should you be unhappy with your changes.